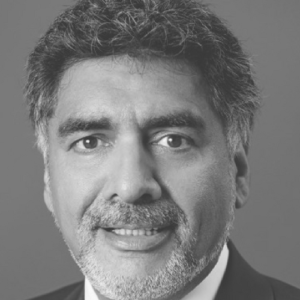 James Caan CBE is a Serial Entrepreneur, CEO of Hamilton Bradshaw Private Equity, former Dragon, Founder of the James Caan Foundation and former Chairman of Start-Up Loans. James is one of the top 10 most influential bloggers on LinkedIn, mentoring over 2 million people through his weekly blogs, soaring past David Cameron and Barack Obama. The voice of business and graduate of Harvard Business School, he is dedicated to championing entrepreneurs and highlighting their importance for the UK economy. In 2009 James was appointed co-chair of the Ethnic Minority Taskforce to help stimulate growth amongst the Black, Asian and Minority Ethnic Businesses based in the UK. As well as this, he became an invaluable source to the Department for Business Innovation & Skill (BIS) by looking at ways to achieve results on a National Scale. James continues to champion entrepreneurship in the UK, opening the parliamentary reception of Global Entrepreneurship Week for Enterprise UK and joining Vince Cables’ Entrepreneurs Forum to advise the Government on new businesses, particularly challenging issues that SME’s face in the UK. James’ willingness and passion to speak out about the issues he supports makes him one of the most sought after entrepreneurs to give their opinion on today’s news. He has weekly columns in a variety of publications championing the SME, startup and entrepreneurial communities as well as addressing the importance of Soft Skills for the UK economy. Audiences can benefit from his invaluable insight and practical advice on issues such as; motivating staff, leadership, scaling businesses and the impact of technology and social media on the business landscape. Most importantly James can draw on his life experience to motivate and energise audiences from 500 – 5000 people.